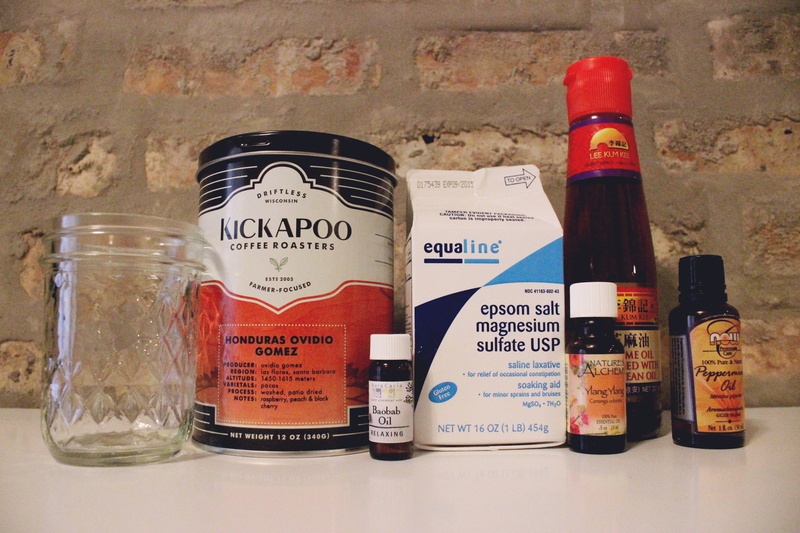 I always use Smith’s Rosebud Salve as a chapstick or moisturizer, so when I found this recipe for something that looked similar I thought I would give it a whirl. 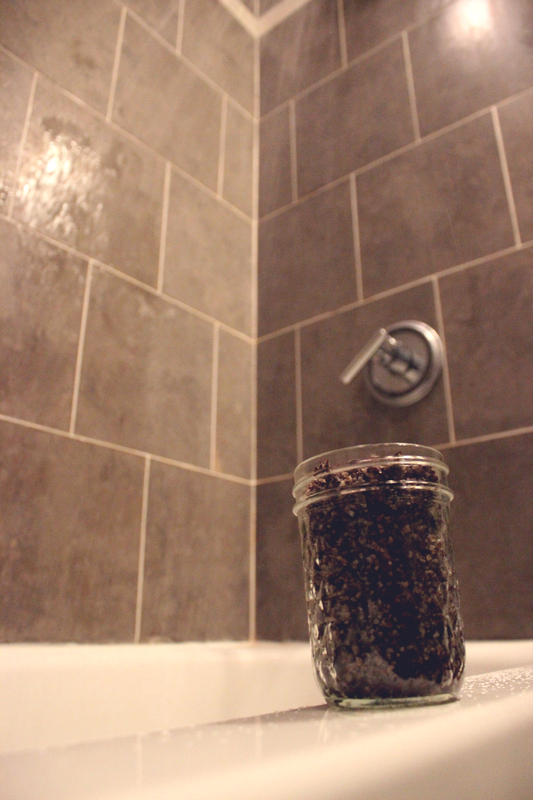 I varied the Design Sponge recipe by just using lots of lavender, ylang ylang, baobab, and tahitian jasmine oils. 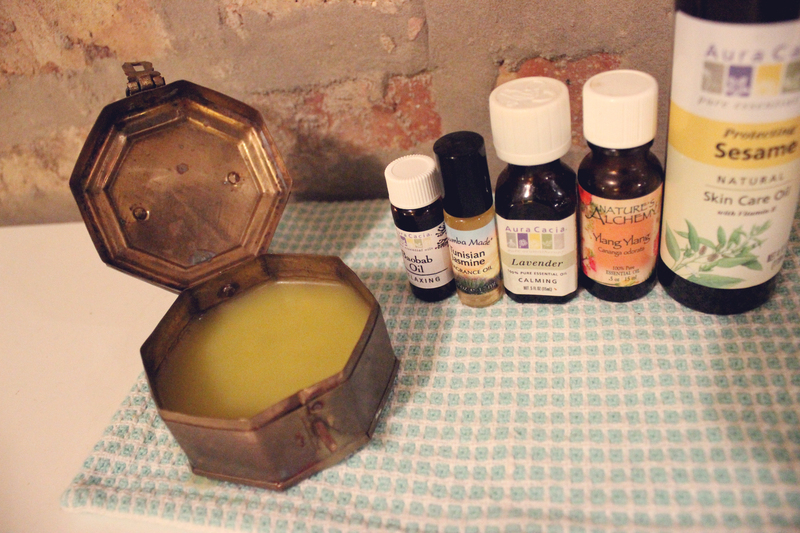 Other than that I followed the steps of the recipe: heating the olive oil, beeswax and sesame oil in a double boiler and then mixing in the oils for aromatherapy purposes once all of the beeswax melted into the mix. I put mine in this cute old tin I have, though any little jar would work! Boil apple cider vinegar, water and salt until the salt dissolves (about 5 minutes). Slice cucumbers into spears, chips or leave ’em whole. 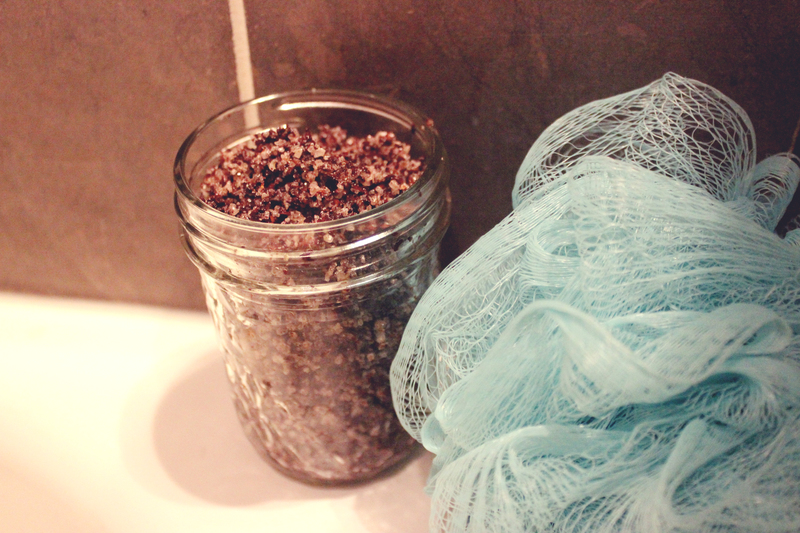 Put seasonings into a large clean jar or divide evenly into two clean jars, if you are using two smaller ones. Stuff the jar as full as possible with cucumbers and then fill almost to the top (leave about 1/2 inch) with vinegar mixture. 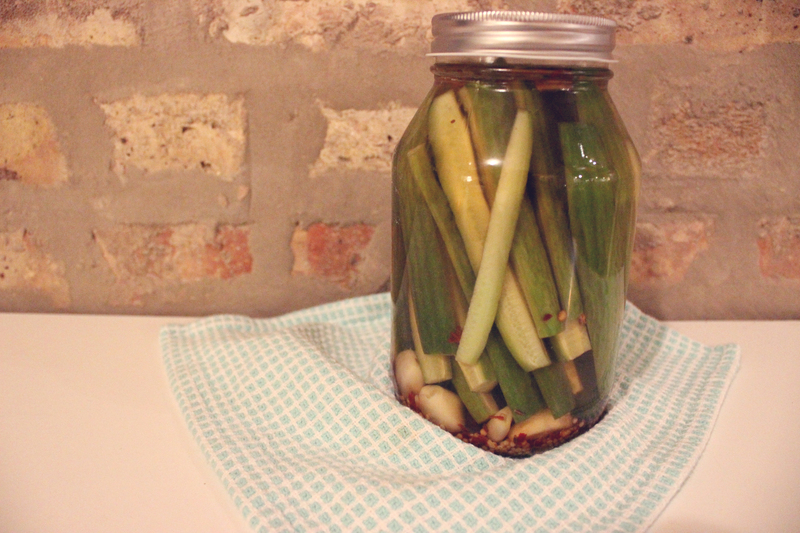 Let the jar cool down to room temp and then pop them in the fridge. 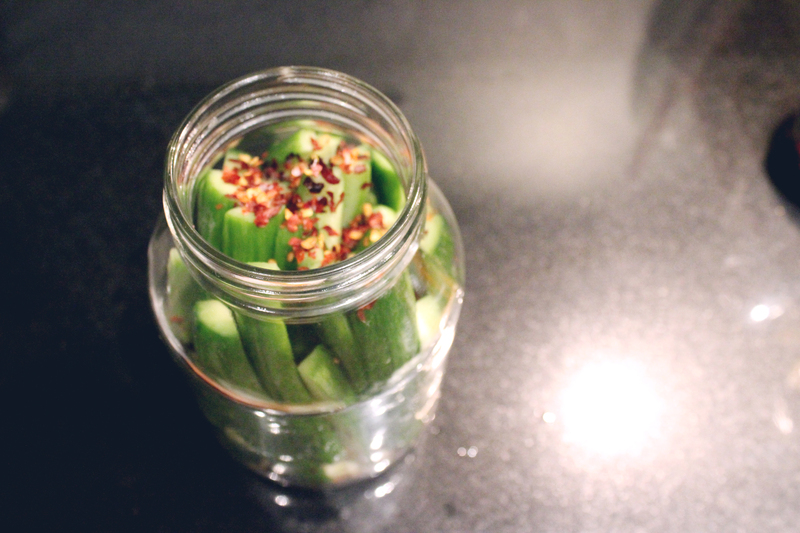 They honestly already taste delicious after just one day, but they will be more traditional pickles after about a week. I love making treats for people as Christmas gifts. This year I decided to make truffles to give to my boyfriend’s family. I made two different kinds: Dark Chocolate Nutella & White Chocolate Egg Nog. I liked the idea of having one white chocolate, and one dark chocolate to counter balance the super sweetness of the white chocolate. First, I made the Dark Chocolate Nutella Truffles. Next, I made the White Chocolate Egg Nog Truffles. For these, I followed this recipe. 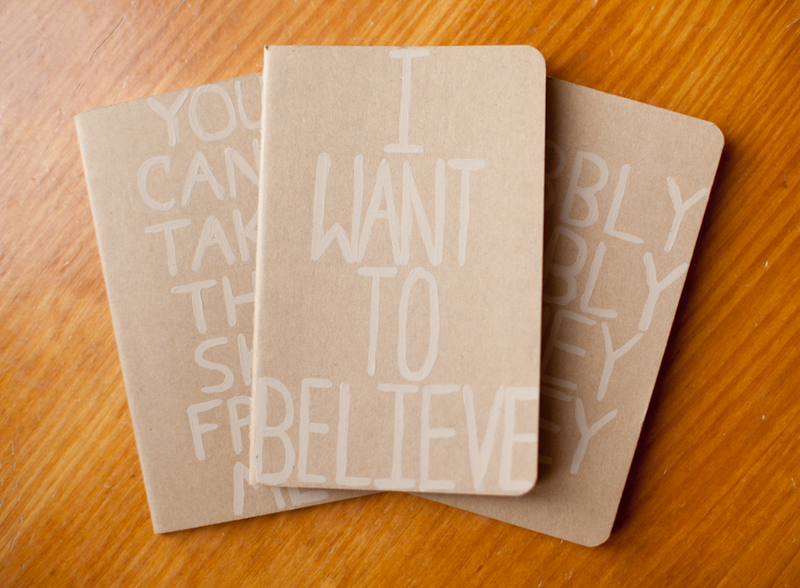 These were both pretty easy to make. The only tricky part is keeping the chocolate coating at the perfect temp. while you’re dipping them. If it’s too hot, or not hot enough, the chocolate will get lumpy. I also recommend putting the egg nog truffles in the freezer to stiffen up while you melt the coating. This makes them a lot easier to handle when you’re dipping them. This was the first time I ever made truffles, and they turned out beautifully. PLUS they are both way tastey. 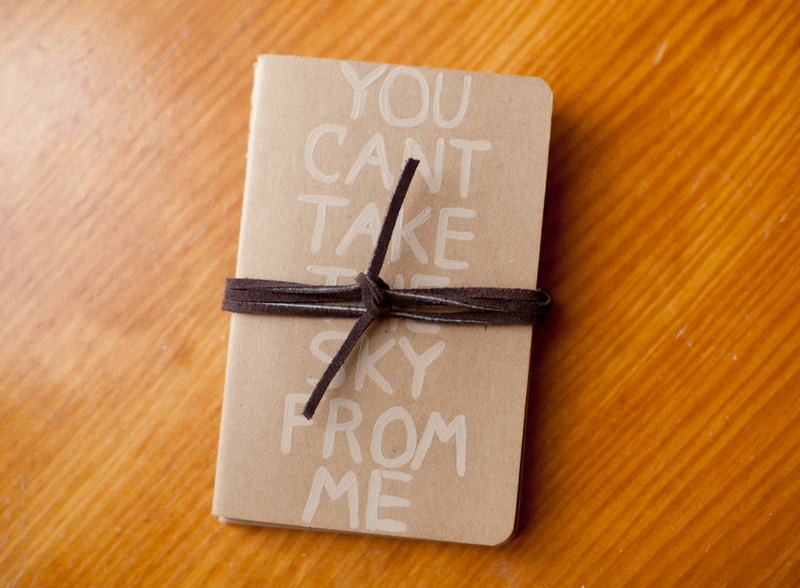 They make a great gift because they look fancy & difficult, but they are actually pretty painless and fun to make! I have had these antler tips for over a year, and I was never really sure what I wanted to do with them. They were on this really tacky necklace I found at a thrift store, but I took them off and I’ve been keeping them until I thought of a good use for them! I finally decided I would paint them and make individual necklaces to give to some of my friends. First, paint the tips with the acrylic paint. I chose to use a variation of pastels & chevron patterns. The neon yellow didn’t work out so well, which was a bummer; it dried too clear! I recommend sticking with more matte opaque colors. The dark antlers, like the ones I used are pretty bumpy so you have to go slow & be sure to fill the grooves to give the illusion of a nice straight line. Next, once they are dry, give them a coat or two of the matte finish clear coat. That’ll keep the paint from chipping. Wait a couple hours before finally stringing the leather through! 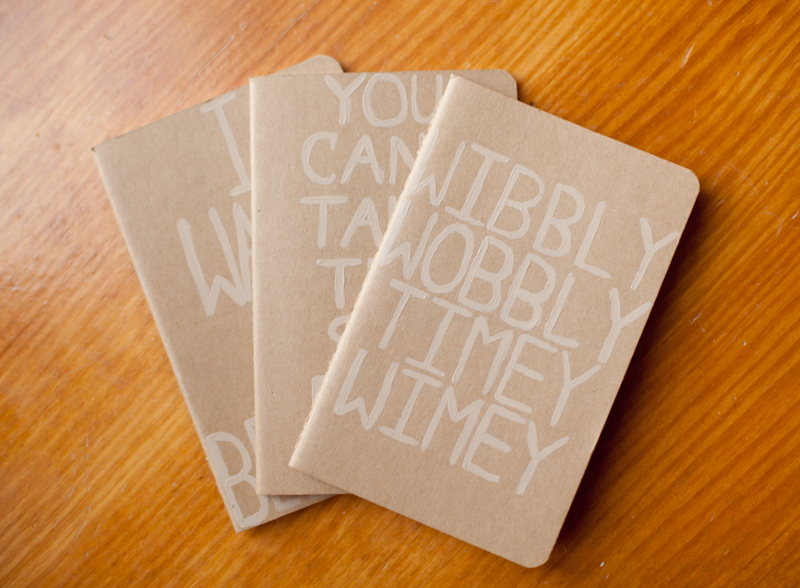 I’m definitely going to order some & make more. I’d like to make some with the white tail deer antler tips, and the claw tines. I also think I’ll use a little gold to add some shine! 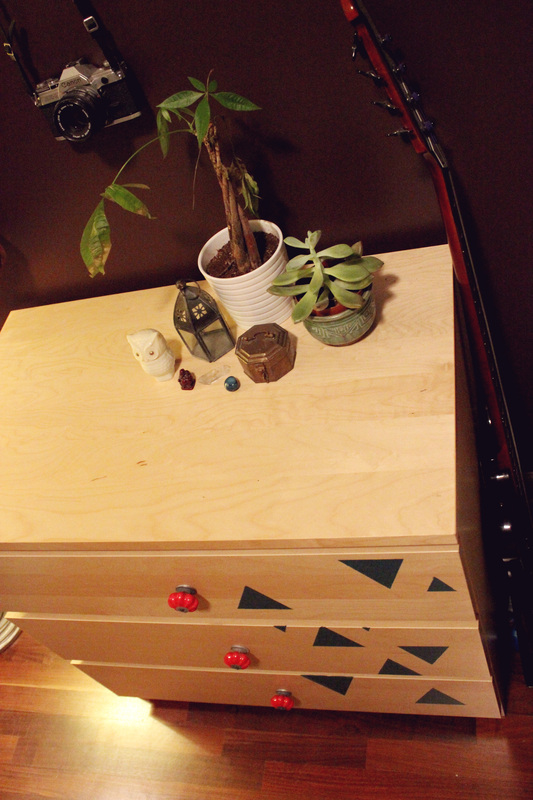 I revamped my little Ikea dresser! There isn’t too much for me to say about this DIY. I just taped off some triangles and painted the areas with some turquoise wall paint we had laying around. 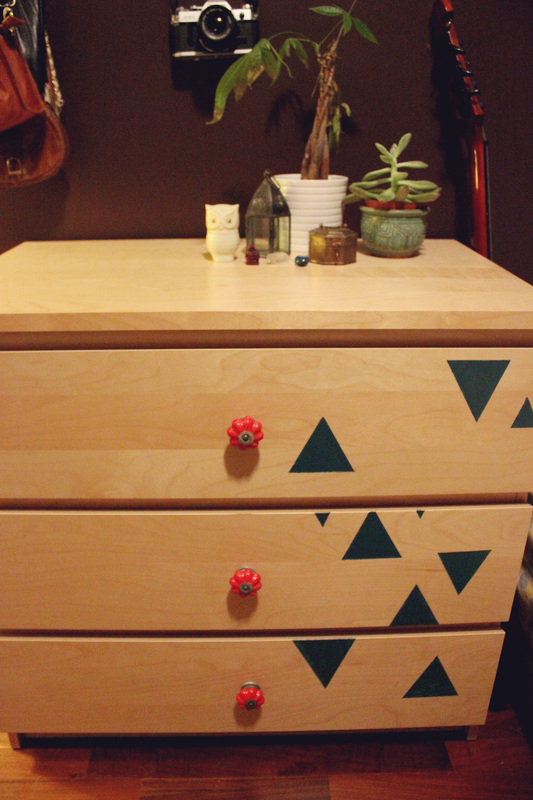 I bought the little knobs for the drawers at Anthropologie! They seriously have all the cutest little trinkets and such. I love little clusters of knick knacks! Here are some of my favorites: succulent in a AA art fair pot, various stones from friends, vintage owl and an old tin I’ve had forever full of bobby pins and junk. 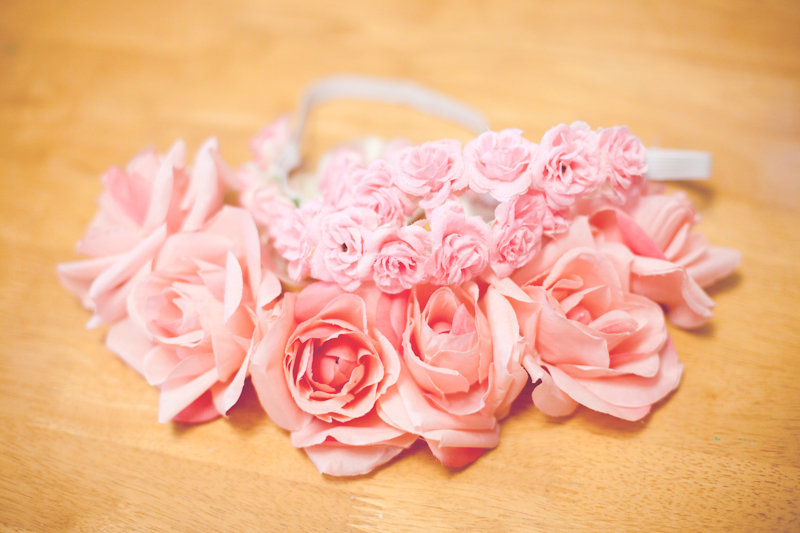 So, I know there are a million floral crown DIYs out there, but here is how I did mine. I really wanted one that was simple, & JUST roses. I also get headaches really easily when I wear headbands. So, I decided to make mine just out of ribbon. That way it would be soft & comfy on my head. 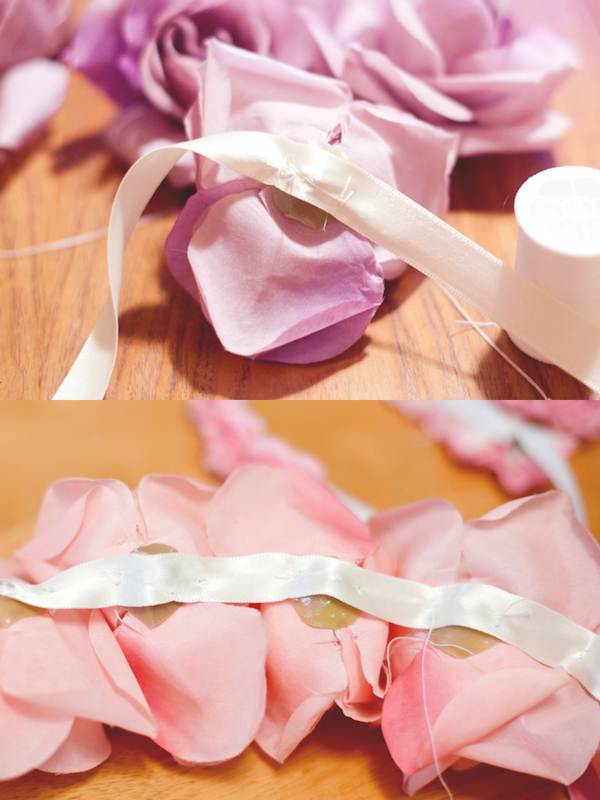 The basic idea is just to buy roses, in this case fake ones, cut them off the stems, & hand sew them onto the ribbon. Super simple idea, relatively easy to execute. Start by picking your flowers. I chose large pink roses, 6 was the perfect number to make it across the front of my head from ear to ear. After you pick your flowers, pop them off the stems & cut off any excess plastic that’s sticking out. This is when I used the hot glue. You don’t HAVE to, but once you pop them off the stems they tend to come apart. So, I used hot glue to reinforce the backs so they would stay together. 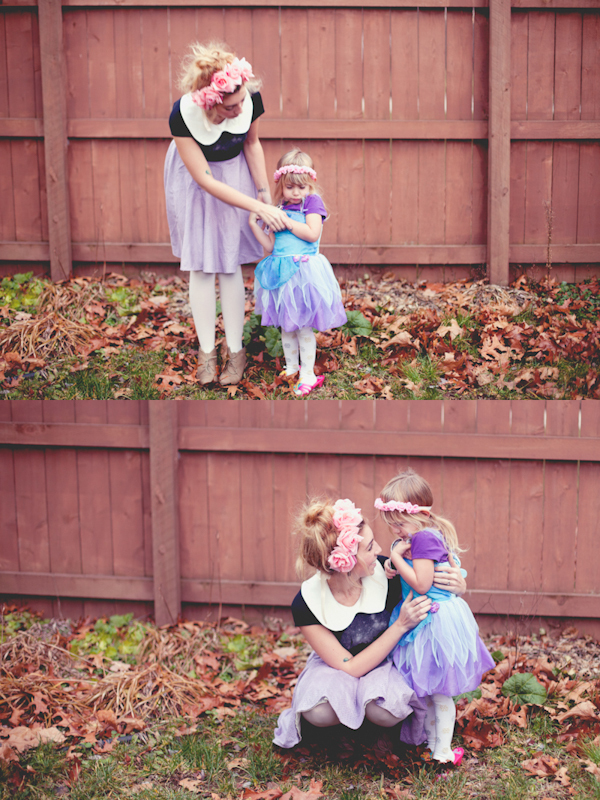 Once you’ve got the flowers ready, cut a piece of ribbon that is long enough to tie around your head. Cut it longer rather than shorter; you can always trim it down. Now, it’s time to sew on the flowers! Cut the thread just long enough to do one flower, & then re-thread the needle for each one. This keeps the thread at a manageable length, & makes everything easier. I recommend sewing the flowers on starting at the center, & working your way out. That way, you can make sure everything is centered correctly. 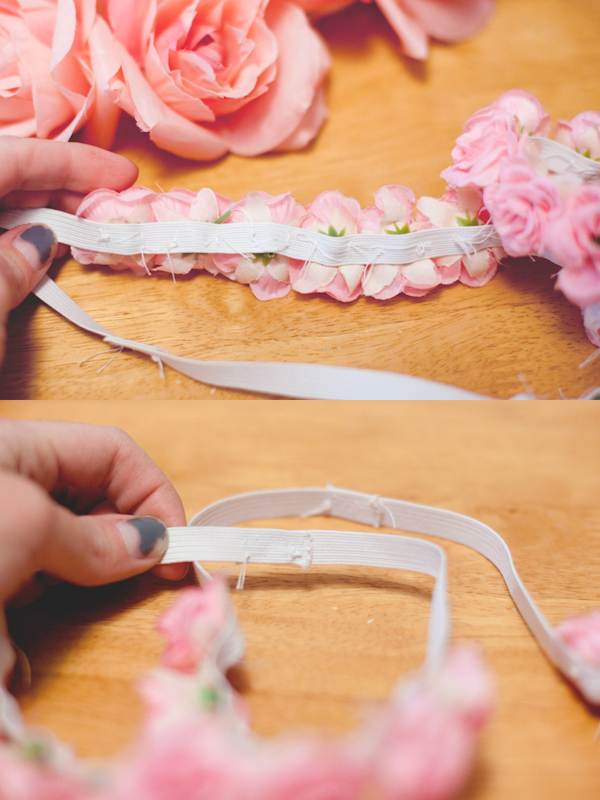 Begin sewing up through the back of the ribbon into the back of the flower. Be sure to go through several of the layers, so that the flowers will stay together better. I made a couple good stitches on the left and right side of each flower so that it would lay flat. Sew them on about 1 inch-1.5 inches apart. 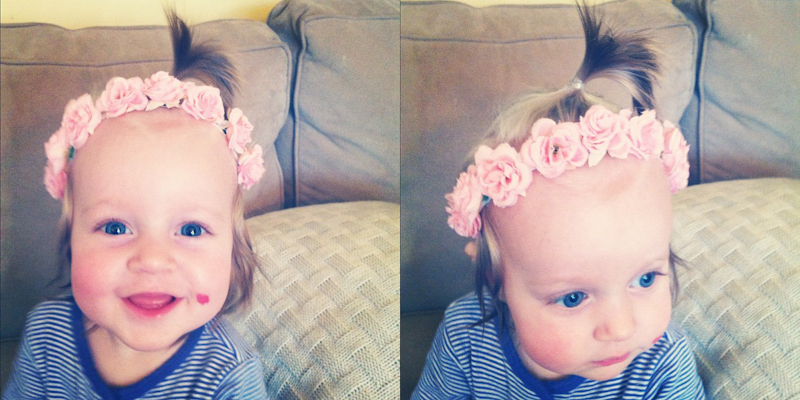 I also created two small headbands for my nieces. 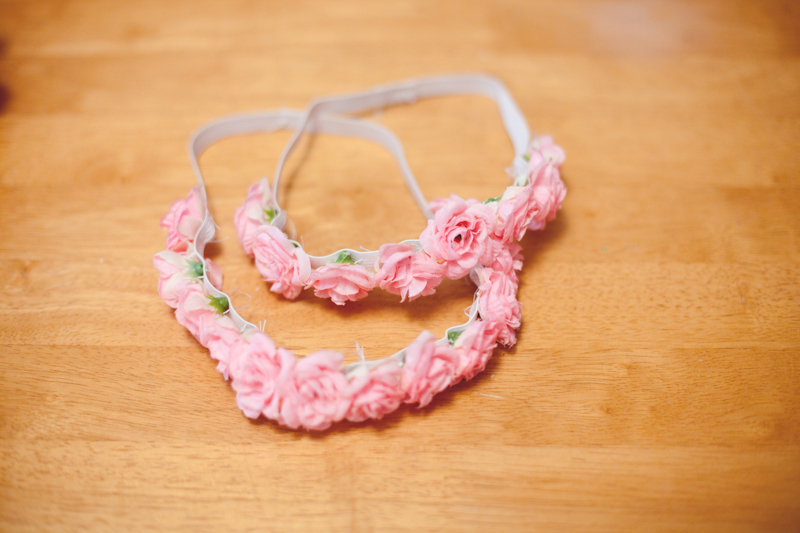 For these, I used the same exact process, but with smaller flowers & elastic to create a stretchy headband. So there you have it! 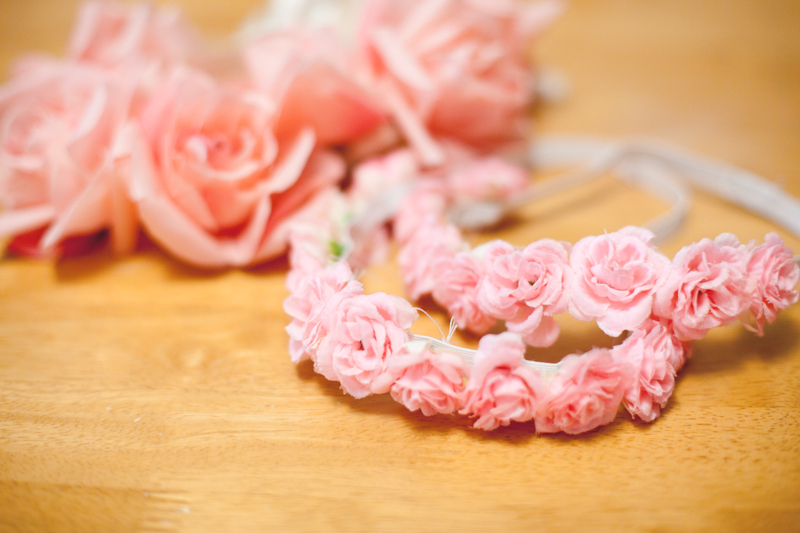 Relatively easy, simple rose headbands for you & any pretty little girls in your life! This year for Halloween I was a BAT. I’ve never been one for store bought costumes. I love creating my own look to get things just right! This costume consisted of a thrifted top, with panels of fabric sewn on the back & arms for wings. I created the ears using some pleather fabric I hot glued together into little pouches and put a thin wire inside for support. I wrapped the ends of wires around a plain black headband I bought at Target, and secured them with some more hot glue. The mask was a black masquerade mask I purchased at Michaels and trimmed down/reshaped. I paired these DIY items with some American Apparel leggings, some knee high black combat boots [similar], and this silver spike necklace from Romwe. I wore Va Va Violet Revlon Super Lustrous Lipstick.